Explanation: In spiral galaxies, majestic winding arms of young stars and interstellar gas and dust rotate in a disk around a bulging galactic nucleus. Elliptical galaxies seem to be simpler, randomly swarming with old stars and lacking gas and dust. So astronomers were excited to find that NGC 1700, a young elliptical galaxy about 160 million light-years away, shows evidence for a 90,000 light-year wide rotating disk of multi-million degree hot gas. The evidence comes from data recorded by the orbiting Chandra Observatory, whose sharp x-ray image of NGC 1700 is seen above. 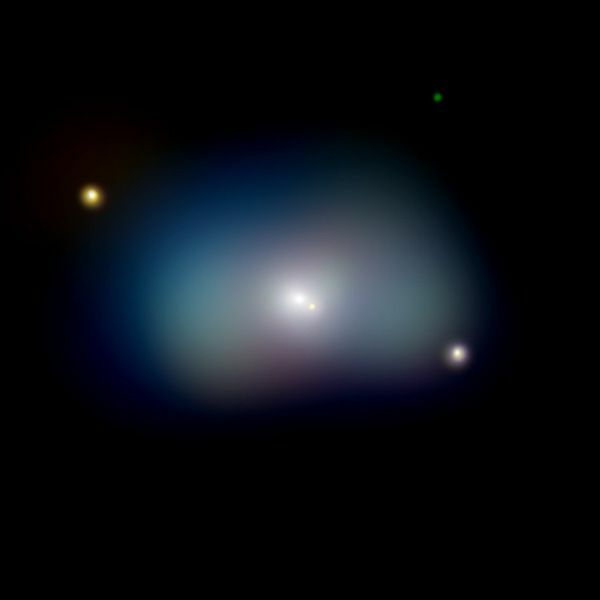 Balancing gravity, the rotation of the x-ray hot disk, the largest of its type yet discovered, gives the galaxy a pronounced boxy profile in this false-color picture. 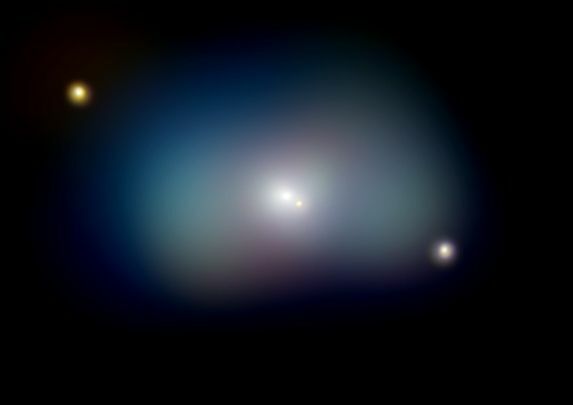 Theories about the origin of the disk suggest that NGC 1700 may be the result of a cosmic scale galactic merger, perhaps between a spiral and elliptical galaxy. NGC 1700 is just visible with small telescopes toward the flowing constellation Eridanus.